Over time Rhapsody in Blue became a milestone of American popular culture. On the afternoon of February 12th, 1924 at New York City’s Aeolian Hall Paul Whiteman and his Palais Royal Orchestra held a concert billed as An Experiment in Modern Music. Most memorable from the long program was the premiere of George Gershwin’s Rhapsody in Blue. The event was intended to be educational. “A stepping stone which will make it very simple for the masses to understand, and therefore, enjoy symphony and opera”. Other items on the program held titles like “True Forms of Jazz”. Rhapsody in Blue was saved for second to last. The clarinet glissando that opens the Rhapsody in Blue has become one of the most recognizable few seconds in music, rivaling only the opening of Beethoven’s Fifth Symphony, but it was a late addition to the work. In rehearsal for the Aeolian Hall concert clarinetist Ross Gorman added the glissando to the opening measure in a bit of good fun, but Gershwin thought it fetching and encouraged him to play it up as strongly as possible at the premiere. 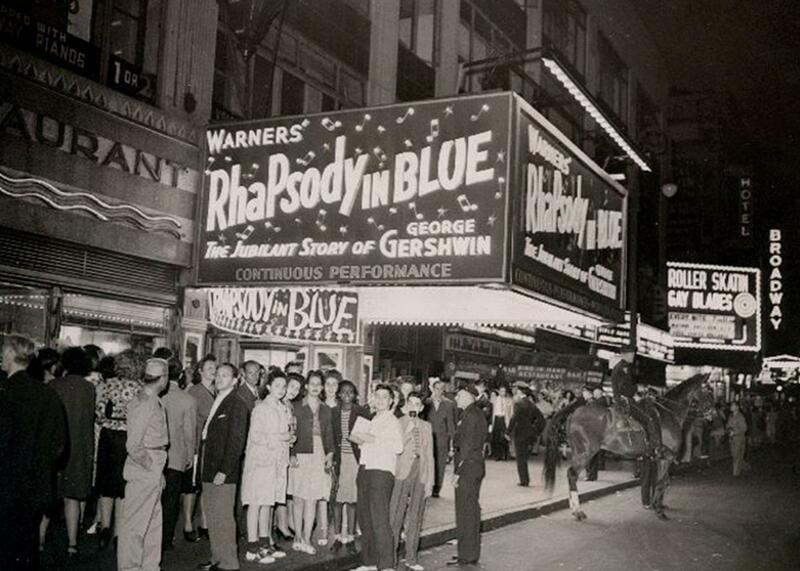 For Rhapsody in Blue Whiteman’s band was joined by a string section and George Gershwin himself at the piano. Some of the performance was left up to chance with Gershwin instructing Whiteman to await his nod to bring in the orchestra after piano solos he partially improvised. Because of this, we can never know exactly how the piece was performed at Aeolian Hall but we can still hear how it was recorded later that spring on a two-sided twelve inch 78 RPM record. In more well-known recordings made by Whiteman in 1927, and by many others later, the piece became increasingly over the top and symphonic, but in 1924 the premiere of Rhapsody in Blue marked one of the earliest successful attempts to wed jazz and the classical tradition and form a new American art music. The jazz elements that became overwhelmed in later renditions were still prominent. The importance of the Aeolian Hall concert has been recognized in several anniversary concerts which have attempted to recreate the original sound of the work. The 60th and 90th Anniversary Concerts were conducted by the late Maurice Peress who discusses them, and the importance of the original concert in his book Dvořák to Duke Ellington.